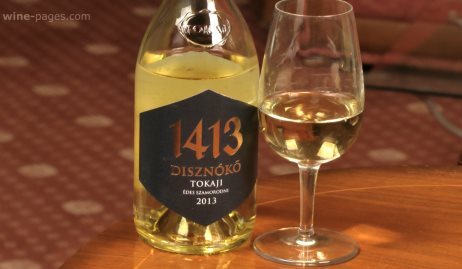 Tokaji is one of the most recognisable ‘brands’ in the world of wine. Like Chablis or Champagne, its fame extends even to those who may never have tasted the wines. Dig a little deeper however, and the relatively shallow understanding of the wines and the region is apparent: what exactly is Tokaji, what makes the wines special, and what is the story of Tokaji today? The last few decades in Hungary echo the winemaking story told in Romania, Bulgaria and many of the former Eastern Bloc countries where communism has fallen. Forty years of socialist rule saw mass nationalisation of the wine industry, with private ownership dismantled and the state vineyards focused on producing high volumes. Vineyards were planted to give high yields, with widely spaced rows of vines that would accommodate large tractors, clones selected for their productiveness, and a philosophy seemingly the antithesis of quality winemaking. As the regime crumbled following the opening of Hungary’s border with Austria in 1989, the vast state vineyard was broken up and the slow process of reintroducing private ownership began. Part of the philosophy was to invite investment from foreign companies, and during a short window at the beginning of the 1990s some of Tokaji’s biggest names were born: The Royal Tokaji Wine Company was created by a consortium including British wine writer Hugh Johnson, Vega-Sicilia of Spain founded Oremus, Suntory of Japan invested in Hetszölö and AXA Millésimes of France purchased the vineyards of Disznókő. The period under communism had led to stagnation and put an end to any meaningful research and development in Tokaji, but a brand new, government-funded centre was launched in August 2011 with a team of scientists to study viticulture in Tokaji including rootstocks and clones, with a view to continual improvement. Tokaji is the most northerly and easterly of Hungary’s wine regions, its vineyards running to the border with Slovakia. Most are on volcanic soils, covered in clay and sand, some with lots of volcanic rocks. This is determinedly white wine region, the mainstay grape varieties being Furmint and then Hárslevelű, with Zéta (once known as Oremus), Muscat and Kövérszőlő. These are used to make a variety of wine styles ranging from bone dry, through late-harvest, to the extraordinary ‘Nectar’ that is Eszencia. But the fame lies mostly with the sweet wines known as ‘Aszú’. Made from Botrytis-affected and naturally shrivelled berries, the wines which rise in sweetness from ‘3 Puttonyos’ to ‘6 Puttonyos’, are what really puts Tokaji on the map. The cold continental climate of Tokaji and its shelter in the shadow of the Carpathian mountains means an extended season in which grapes can be left to hang on the vine late into the autumn, and if conditions are right, develop Botrytis, the ‘noble rot’. Whilst an increasing number of dry and late-harvest wines are now made from ripe or over-ripe grapes, the most prized wines are still Aszú and Eszencia. Aszú, meaning ‘dry’, refers to both naturally shrivelled grapes that have dried on the vine for many weeks, and Botrytised grapes. The pickers might make as many as 20 passes through the same vineyards selecting Aszú grapes, literally one by one if needed. These dried berries are then added to fermenting must or are macerated with late harvest wine before fermentation and ageing in oak casks. The measure of sweetness, from 3 to 6 Puttonyos, refers to the historic method of making Aszú. Between 3 and 6 Puttonyos (baskets) of Aszú grapes was added to a barrel of must or wine; the more Puttonyos, the sweeter the wine. Whilst these old vessels are no longer used, the level of sweetness is indicated by rising Puttonyos, from a minimum of 60g/l of residual sugar for 3 Puttonyos, to a minimum of 150g/l for 6 Puttonyos. 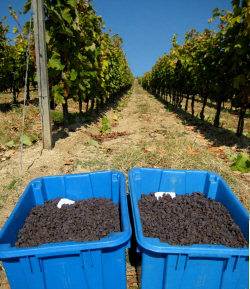 Left: freshly gathered Aszú berries in the Disznókő vineyards 18th October 2011. The name ‘Eszencia’ is reserved for even sweeter wines. There were traditionally two Eszencia styles: the first, referred to as ‘Aszú Eszencia’, is simply a continuation of the Puttonyos theme where the same winemaking method results in wines with even higher residual sugar at over 180g/l – it is effectively ‘7 Puttonyos’ if you like. But this definition has now been abandoned, and today the term Eszencia is used for an altogether more remarkable product. Eszencia, also known as ‘nectar’ and once sold by pharmacists as a tonic, is an extraordinary molasses-thick wine made from the juice that seeps without pressing from a vat of fully Botrytised grapes. It is only marginally alcoholic (somewhere between 0.5% and 6.0% alcohol) and fermentation by ambient yeasts is a struggle, usually taking months as the precious liquid seeps, drip by drip, to be collected and aged in demi-johns. Eszencia is composed of around 450-900g/l of sugar, meaning a remarkable 90% of the liquid can be sugar. The remaining 10% is the thickest, sweetest, richest mouthful of intensely concentrated raisin flavour imaginable, and yet natural acidity keeps the best Eszencias alive and very much kicking. AXA Millésimes’ 104 hectare vineyard is part of a great estate declared as a ‘first class’ cru in the 1772 classification of Tokaji. Their earliest vines date from 1952, but following the same philosophy as all the estates purchased by the French insurance giant, including Pichon-Baron in Bordeaux and Noval in the Douro – there has been massive investment to restore Disznókő to its former glory. That has meant substantial replanting of the vineyards – half of entire area since they took over – and the building of a beautiful new winery and underground cellars. Winemaker László Mészáros tells me the replanting was vital because many of the vineyards planted in the 1970s were trained high, irrigated and planted at low density. Their set up produced yields four times greater than the vineyards that have been replanted. “So the quality equation in Tokaji is not simply about how old the vineyards are,” he says. New vineyards are planted with 6000 plants per hectare rather than 2,500 of the old system. New plantings are mostly of Furmint. “Furmint makes excellent Aszú,” says László, “but it’s also one of the most interesting native grapes for dry wines.” Some old parcels of Hárslevelű are still in very good condition too. The Disznókő slopes are clay on volcanic tufa soils. “We have a lighter clay, with more of it at bottom of slope,” László tells me, “and the Kapi vineyard has lots of small volcanic gravels.” Kapi is a plot that was replanted in 1994 and now appears as a single vineyard wine – the first ‘grand cru’ site identified and vinified separately by Disznókő. László, left, believes Disznókő has one of the most favoured sites in Tokaji for Aszú: “I cannot imagine a better site for Botrytis,” he says, “the vineyards face south but with an open aspect for the breeze to freshen the vineyards and make a very fine, dry Botrytis.” But certain blocks with a greater depth of clay on south-facing slopes are now being identified as prime sites for dry wines too: “We get more acidity and freshness from the clay,” László says, “but it depends on the vintage.” He cites 2007 when a hot, dry vintage set Botrytis particularly early, so they harvested dry wine grapes from across the estate to avoid everything being Botrytis-affected. Several teams of pickers were in the vineyards on my visit. One person can pick six to 10 kilos of Aszú berries per day, often so shrivelled that they cannot be pressed, hence the maceration in base wine or fermenting must to extract sugar, acid and aromas. Base wine fruit is the last to be picked, from ripe, un-Botrytised berries often picked after Aszú, which “Sits quietly waiting for the base wine harvest,” according to László. Furmint is always whole bunch pressed, mainly because bunches are so fragile and skins so thin that they are impossible to destem. Hárslevelű is much more robust and is usually destemmed. Disznókő is one of a small number of estates which set a new benchmark and a new model for the modern style of Aszú wines. Formerly, the great sweet wines of Tokaji were also oxidised and could tend towards being a little rough and volatile despite their sweet charms. 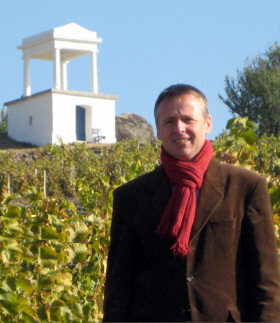 Estates like Disznókő, bringing new winemaking knowledge, techniques and investment, have created a new style of wine with all the sweetness and richness, but with much cleaner flavours. The fact that Château Suduiraut of Sauternes was already part of the AXA Millésimes portfolio was significant too, with input from the team at Suduiraut (still the source for Disznókő’s French oak barrels) helping, in many ways, to redefine Tokaji as a wine for the 21st century. Disznókő’s portfolio of wines impresses across the board, from their intense and mineral Dry Furmint to their extraordinary Eszencia nectar. There’s a keen intelligence about László Mészáros, backed up by a wonderful vineyard site and supportive management in France that is focused entirely on quality. And from my extensive tasting of 20 wines on this visit, covering vintages from 1993 to 2010, it is clear the relentless attention to detail is paying impressive dividends. Owner and winemaker Sarolta Bárdos has a quiet determination about her, hidden behind a shy personality. 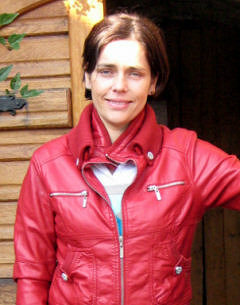 Formerly winemaker at Gróf Degenfeld and then Béres estates, she bought the vineyards for Tokaj Nobilis in 2000, and then in 2004 a house in the village that has become her home and headquarters. The 200-year-old house now contains a brand new winery with all stainless steel tanks in its small, but neat and perfectly functional cellar. The deep, traditional, vaulted barrel cellar was newly constructed after Sarolta bought the buildings. The vineyards had not been cultivated for many decades. “They were just too slopey for the Russian tractors,” Sarolta tells me. But now everything here is set up for quality production. They have replanted at high density (5,600 plants per hectare) and yields are small at 2.5 tonnes per hectare. There is a very strict selection in the vineyards, which are sited on rocky volcanic soils. Sarolta told me she “Decided which clones to plant very carefully, for small yields from small bunches with small, sweet grapes.” Furmint comprises 70% of the estate along with Hárslevelű, Muscat and Kövérszőlő (“the fat grape”). Sarolta likes the flavours of Kövérszőlő but says “It is subject to rot, so needs to be carefully managed. It is unique to Tokaji and is excellent for Aszú and late harvest wines – it has really delicious flavour.” I was hugely impressed both by Sarolta and the wines of Tokaj Nobilis. She demonstrates tremendous attention to detail and sensitivity in her winemaking, moving grapes and must by hand to avoid tannin extraction by pumping, using only natural yeasts since 2003 and refusing to harvest grapes for her dry wines until they are full ripe: “I never harvest green grapes, always gold. The trade off is slightly higher alcohols, but it is worth it.” Despite making up to 20 passes through her vineyards to hand pick grapes she does not make Aszú every year. She tells me there was none in 2004, 2005 or 2009, simply because there were not enough Aszú berries of the right quality. Her 20,000-bottle production is made in a modern, non-oxidised style and every wine bursts with character. I was met by the whirlwind that is Enikő Király, sales director for the Béres winery who marched me to the top of the slopes to survey her vineyards before a no-nonsense tour of the winery and settling down to a large portfolio tasting. Béres is a relatively new estate. Ten hectares of vineyard were purchased in 2002 to establish the brand, though this has already grown to 44 hectares following extensive plantings on their chalky clay and tufa soils. There is also a new winery and swish visitor facilities in a project that has obviously seen considerable investment. In fact, the owners are the Béres family, one of the best-known names in Hungary and neighbouring countries because of their pharmaceutical business. Their fortune was amassed largely from the sale of ‘Béres Drops’, little bottles of a mineral-based supplement that make quite extravagant health claims including strengthening the immune system and reducing cholesterol. The Béres family set the winery up in Erdőbénye on the edge of the Zemplén Mountains oak forests. Erdőbénye boasts 10 cooperages producing barrels for wineries in Hungary and around the world. The winery is gravity-fed, with presses sited directly under the grape reception area and has plenty of state-of-the art winemaking kit as well as extensive underground cellars for maturation. As I walked through the vineyards with Enikő I noticed that many of the bunches of Furmint and Hárslevelű seemed much bigger than on other estates, and the grapes seemed bigger too. Sitting down to taste their various segmented brands and ranges I felt this might be detectable in the lower-level wines too, with relatively high alcohols, lots of tannic extraction and a slightly phenolic character that suggested to me some over-extraction from less concentrated fruit. At the upper level the wines were very good, and the price points competitive. I had the opportunity to try a few other Tokaji wines on this trip from producers including Gróf Degenfeld, Demeter, Vayi and Kikelet. for tasting notes on 5 wines from other Tokaji producers.